Tickets are available through the Macao Ticketing Network from 18 July, 2017. The box opening dates of “Valentine’s Day concert – The Phantom of Love”, “Heroes: A Video Game Symphony”, performances in the Macao International Music Festival and the Macao Arts Festival will be announced later. Please refer to the Macao Orchestra official website or the Macao Ticketing Network for updates. OM Friends can redeem 2 tickets of “Along with the musical joy – Annual gala and gathering” by presenting OM Friends’ Card and tickets of “Piano Giant”, “The Musical Footprint of Dvořák” or “2017-18 Season Closing Concert – Beethoven Symphony No. 9” within the Early Bird Period, at the reception of Cultural Affairs Bureau during office hours. Tickets are limited and on a first come, first served basis. Holders of valid Macao Senior Citizen Card* or Disability Assessment Registration Card*. Holders of BOC Credit Card# or BOC Card can enjoy 30% off tickets for special programmes with no limit on the number of tickets. Special programmes include “2017-18 Season Opening Concert – Kyung Wha Chung and Macao Orchestra”, “Starry Vienna – New Year Concert”, “Piano Giant” and “2017-18 Season Closing Concert – Beethoven Symphony No. 9”. Purchasing 10 or more tickets for the same performance (including tickets of different prices). The above bank offers are only applicable to holders of MasterCard, VISA Card or UnionPay Card issued by the designated banking partners; for online bookings, offers are only applicable to holders of MasterCard and Visa Card. 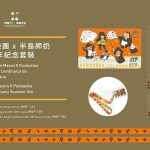 #This promotion is not available to holders of Tai Fung Credit Card issued by BOC Credit Card (International) Limited in Macao region. *Each cardholder can only acquire one discounted ticket per performance. Please present the respective document at the entrance, otherwise full ticket fare will be charged. ^The above discounts are not applicable to the Macao Orchestra’s performances in the Macao International Music Festival and Macao Arts Festival. Children aged 3 and over are welcome to attend the “Children’s Day Concert – The Symphonic Magical Fairyland” , children aged 6 or below will not be admitted to other performances. The organizer reserves the right to change the programme and performers at any time. “Like”our facebook page to get the latest news!